How many people here are connected to a ECI cabinet? So how many people are there on ECI cabinets? We know that ECI cabinets were stopped being installed quite a while ago, so I'm assuming ECI cabinets will be less than 50%. But I wonder if there is an actual figure for the number of ECI's compared to Huawei cabinets? 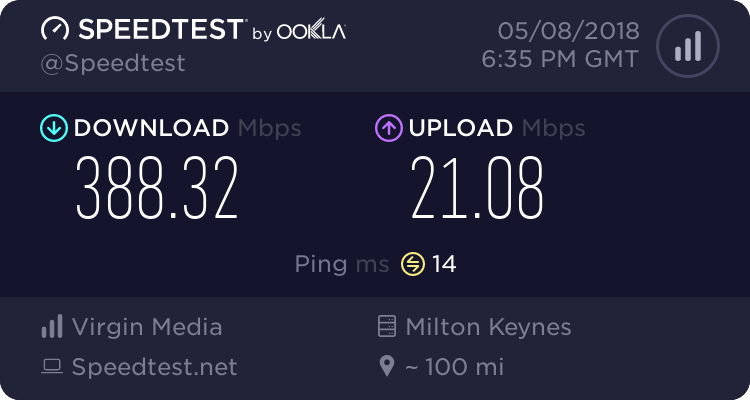 If you're not sure then you can use Kitz page: http://www.kitz.co.uk/adsl/cabinet-lookup.htm and follow the instructions to see which cabinet type your on. Re: How many people here are connected to a ECI cabinet? Eci cab in Frome. Its been repaired recently with new cables and cards after it was suggested it was going to be replaced but sadly in the end it was not. All of Frome are ECI cabs bar 2 huawei funded ones. Me and probably most others in Thanet as we have ECI cabinets, so Ronski is likely another one. I have always believed it to be about 1/3 of, with 100% of BDUK been hauwei. The rollout started as hauwei, then moved to ECI after a while, when openreach announced they were considering vectoring it then shifted back to hauwei for the final 3rd. "We know that ECI cabinets were stopped being installed quite a while ago" - mine is a new ECI cabinet, installed early January this year. I was the first connection to it. Am suffering from extremely poor upstream bandwidth (old 0xd086 firmware), but otherwise ok.
That is interesting. So based on that nearly half of BT/OR's network can't support the upgrades they are doing. I think they need to figure out some kind of solution for the ECI situation. I know my area is all ECI's until the most recent cabinet from BDUK was a Huawei. So if other towns are similar to mine that means whole areas are covered by ECI cabinets, i.e. not even an equal mix. I think BT/OR are going to run in to a marketing issue if they start broadcasting about 3dB and G.INP at any major point because large numbers of customers won't benefit at all. Unfortunately large numbers don't have a clue, it's a very small minority of us that know what the difference is, or even care. Pretty much all the cabinets around Thanet are ECI, except the BDUK one's and the very recent second cab additions. On an ECI in Marple, Stockport. Fortunately it's located the other side of our front garden wall, so no real negative impact for us. ECI cabinet here in rainy Settle North Yorkshire, line length 350mts, Down Stream: 48570Kbps / Up Stream: 18565Kbps, aluminium cable. Mostly ECI cabinets here in Grays, Essex, including some that were only installed in 2016. However, in Dec 2016 I lost my broadband, a peek across the road showed my ECI box's innards laid out neatly on the pavement. I asked the Openreach guy what the problem was and he said he was 'updating' the box which required a board change. On completion my down speed DROPPED by 4Mbps with the same S/N of 6.2db, it's never recovered. There's never an out-of-control, steam-powered, road-roller nearby when one wants one . . .